Party favors are a huge part of my party planning process. 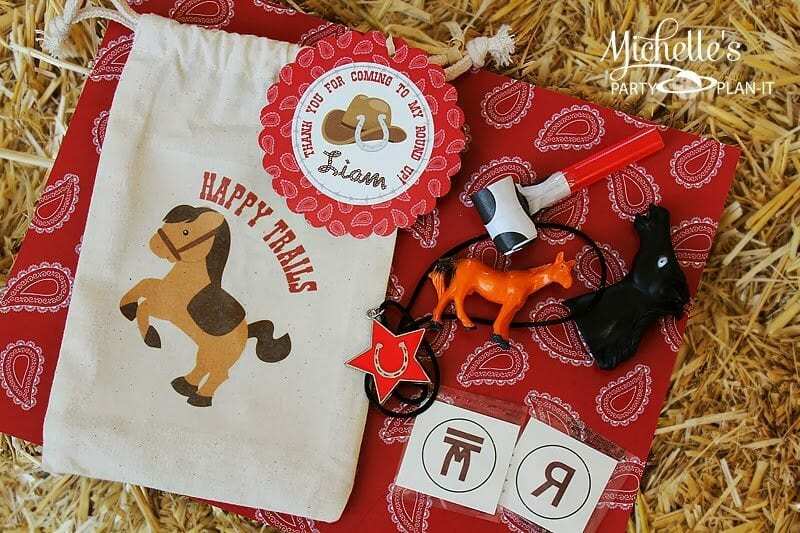 When I was planning Liam’s Round Up party, I went a little crazy making party favors (but I enjoyed every minute of it)! 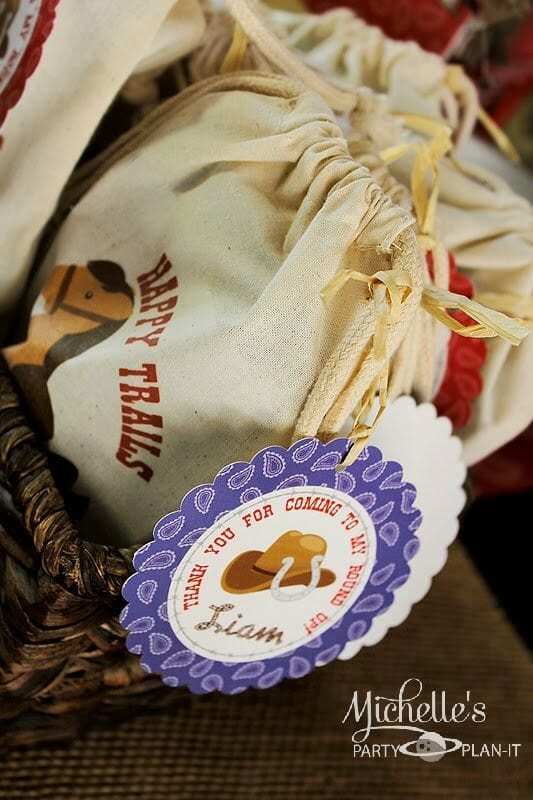 One of my favorites were these “Happy Trails” muslin favor bags filled with western themed trinkets. They are very simple and easy to make with the kids! 2. Cut out the image. 3. Following the Iron On Transfer paper instructions, place the image on the bag in the desired location. 4. Following the Iron On Transfer paper instructions, iron on the image and remove the backing once cooled. Yee Haw! It’s that easy! 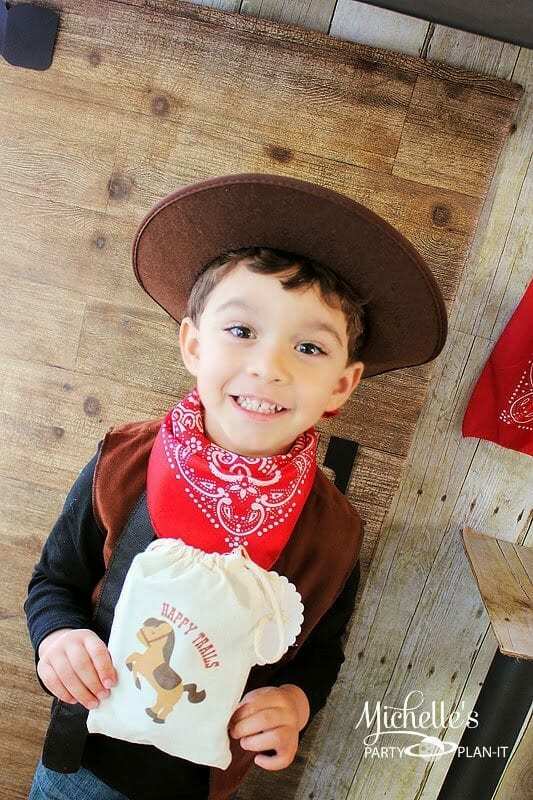 Now just fill them up with your favorite western themed trinkets and they’re ready for your little buckaroos! DISCLAIMER: The file provided in this tutorial is to be used for personal use only.